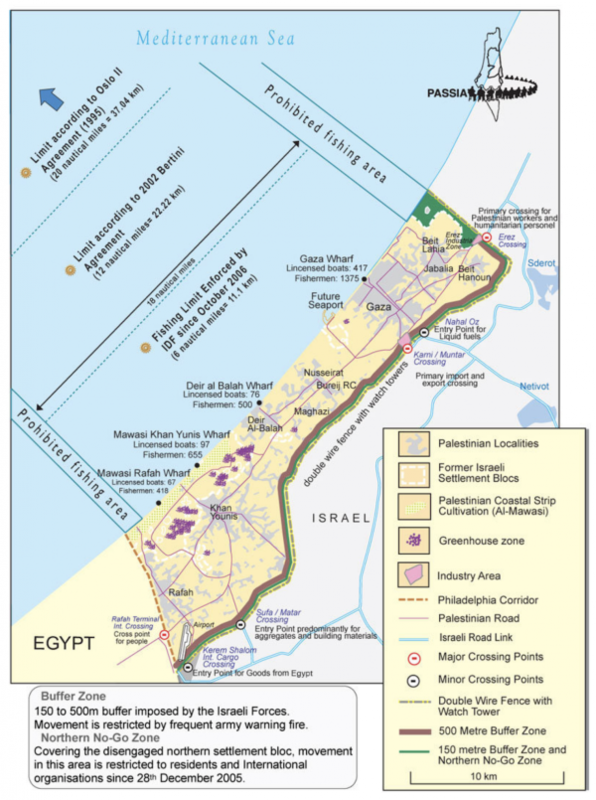 While the Gaza/Israel conflict rears its ugly head on a fairly regular basis, those of us who live in the West where news of the Middle East is filtered through a pro-Israel sieve rarely actually learn anything of significance about the Gaza Strip other than Hamas’ ability to manufacture and deploy rockets. 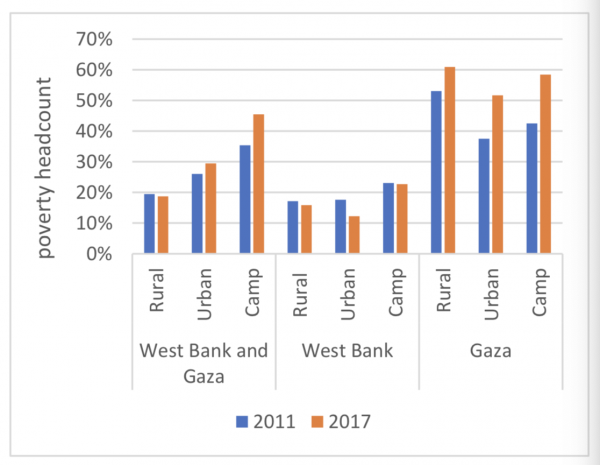 Thanks to a recent study by the World Bank, we can now get an insider’s viewpoint on one of the most significant problems facing residents of the Gaza; its economy which has been strangled by years of Israeli pressures which began in 2007 when Hamas took over leadership of Gaza. In large part, Gaza’s economy shrank because of severe cuts in aid for reconstruction and transfers from the Palestinian Authority. 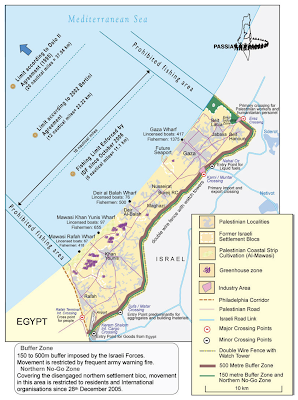 As well, Gaza’s economic isolation has led to further degradation of its economy. 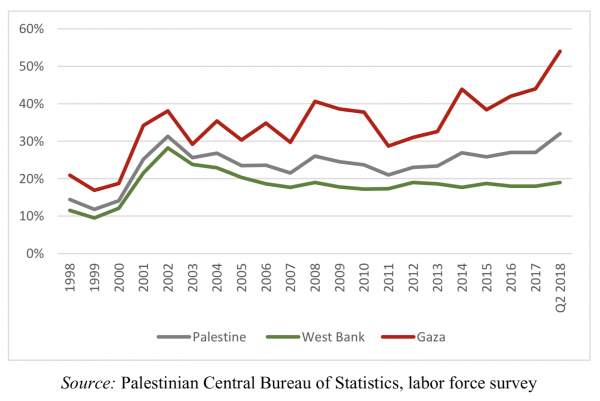 The overall unemployment rate in the Palestinian Territories hit a two-decade high of 32.4 percent in Q2 2018, five percentage points up from its average in 2017. 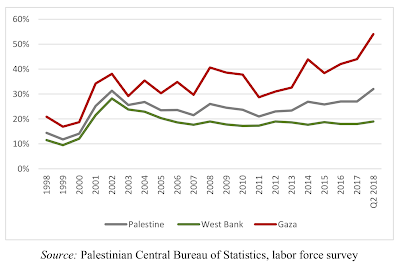 This increase in unemployment is due to a growing unemployment problem in Gaza where 53.7 percent of the labor force was unemployed in Q2 2018. Unemployment among Gaza’s youth exceeded 70 percent and hit 78 percent for females. Is it any wonder that Gaza’s youth are protesting against Israel? One of the biggest problems facing Gaza’s economy is the full blockade that was enforced by Israel after Hamas was elected in 2007. This factor, along with wars in 2008, 2012 and 2014 have taken a significant toll on Gaza’s economy despite international aid for reconstruction. The blockade has restyled in a deindustrialization of its economy with manufacturing now accounting for only 8 percent of GDP compared to 16 percent in 1994. Thanks to the ongoing conflict, the size of Gaza’s agricultural sector has also declined, now comprising less than 5 percent of its economy compared to 11 percent two decades ago. 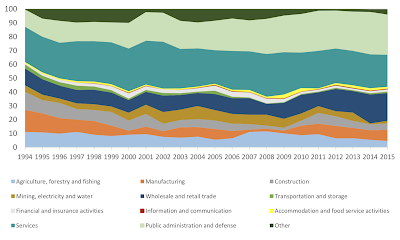 The only sector showing growth is the public sector whose share of the economy rose from 12 percent in 1994 to 29 percent in 2018. 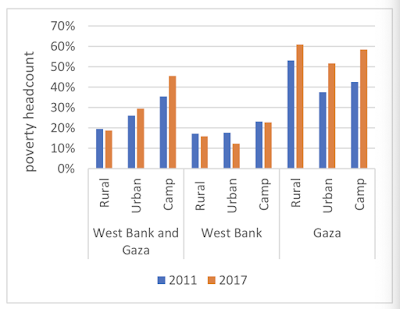 This, however, is likely unsustainable; public spending was reduced by 7 percent during the first half of 2018 as the Palestinian Authority.was forced to cut its total wage bill by 17 percent on a year-over-year basis through the cutting of salaries and the imposition of early retirements. This has led the number of Palestinian Authority employees in Gaza to drop by more than 22000 since the beginning of 2017 compared to a drop of only 4000 in the West Bank. Additionally, the Palestinian Authority has cut wages to its employees in the Gaza; salary reductions of 30 percent took place in 2017 followed by further cuts of 50 percent in 2018. 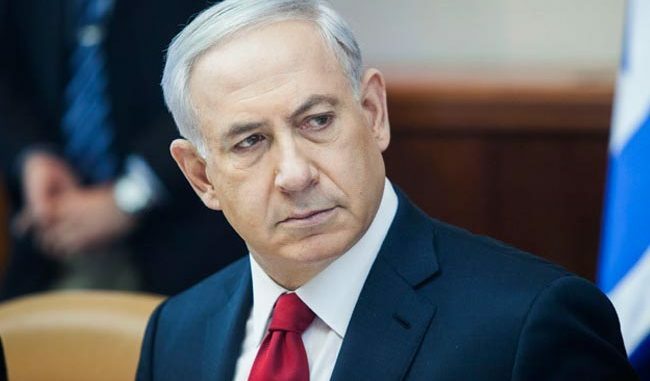 This has resulted in a drop in Palestinian Authority monthly total spending in the Gaza from $125 million per month in 2016 to $96 million currently. In the first half of 2018, the Palestinian Authority’s financing deficit hit $400 million. Aid totalled $240 million ($183 million in budget support and $57 million in development financing) which is one-third lower than the same period in 2017. This has forced the Palestinian Authority to fill the fiscal gap through arrears to its pension plan which have already reached $1.6 billion and the private sector which now exceeds $600 million. If the economy continues as it has for the first half of 2018, the projected deficit for the Palestinian Authority is expected to reach $1.24 billion or 8.2 percent of GDP. Palestinian attempts to infiltrate Israeli territory and harm its forces and has made it much more difficult for Palestinian fishermen to make a living from fishing. Currently, poverty in Gaza account for 71 percent of poverty in the Palestinian Territories, up from 51 percent in 2011. 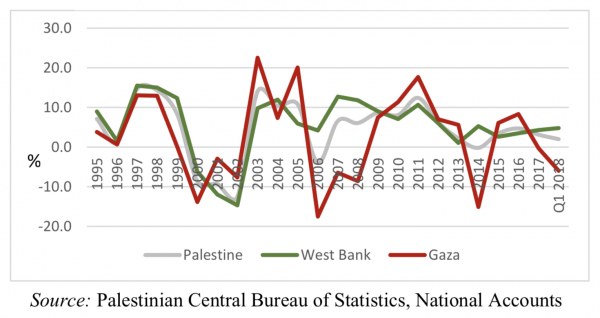 “The economic and social situation in Gaza that has been declining for over a decade, has deteriorated exponentially in recent months as transfers from outside the territory are squeezed. The impact this is having on people can be seen in the significant increase in poverty and reduced opportunities since 2011 – which has worsened further in 2018. The situation has reached a critical point with increased frustration, feeding into downward cycle…. To prevent an immediate collapse, the recent corrosion in the livelihood of Gazans needs to be reversed. 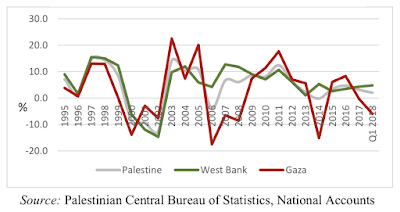 The quick deterioration in conditions in Gaza in recent months has been driven by a severe weakening in purchasing power and economic activity, accompanied by a decline in service delivery. This situation needs to be addressed to avoid further blows to wellbeing, health, and stability. The quickest response mechanism would be to reverse the decline in transfers that have maintained services and economic activity in the past decade…. “Earlier this year…the President directed an overall review of U.S. assistance to the Palestinian Authority in the West Bank and also in Gaza…. …the future of Gaza looks grim at the very best. What Brought Johnny Depp And Tom Cruise Together?